¡AMANDLA, A WETHU ! ¡Power, to the people! 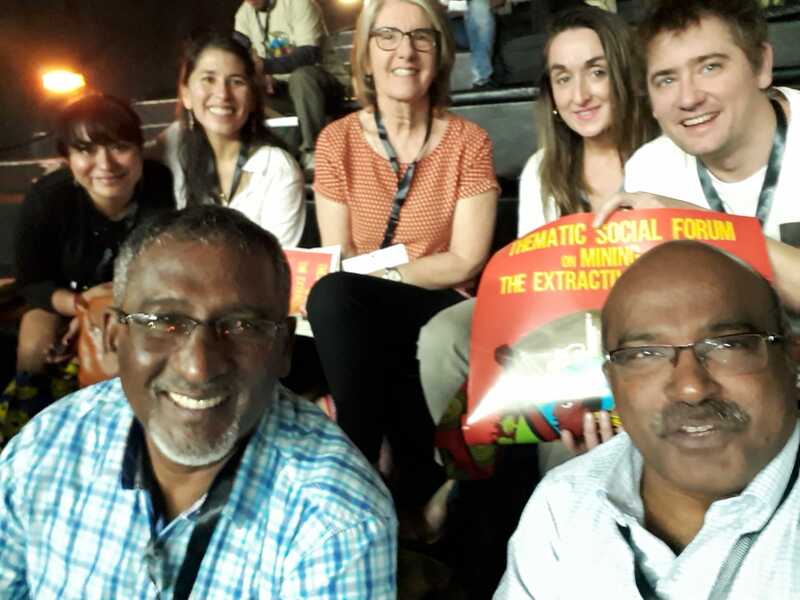 Our first day in the Thematic Social Forum on Mining and Extractives Industries has started with this powerful cry for justice and dignity of the peoples. The approximately 300 delegates coming from all corners of the world have joined this powerful cry and the loud chants and dances of our South African hosts in the dark but cheerful building called the Music Factory here in Johannesburg. The day has been intense, both intellectually and emotionally, for all of us representatives of the Justice in Mining. We have heard the struggles of peoples and communities affected by mining and extractives industries: their dreams, strategies, failures, disappointments and victories. The right to say NO is becoming a powerful demand, with its flipside the right to say yes. Yes to peace, community development, education, health and housing, among others. Yes to a just transition that takes into account the current inequalities among nations and within nations. And builds up on a new set of values, where care for our common home and the future generation should be at the center.